In the admin center go to the User management card > Add user. In the New user panel, type in the required information. You can also enter additional information under Contact information, choose how you set the password under Password setting, and assign roles under the Roles. 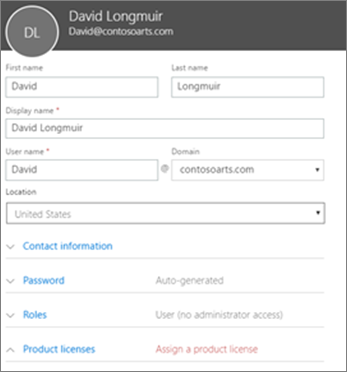 In the Product licenses section, set Microsoft 365 Business product license setting to On.